Choon Entertainment has released an official statement on Kim Yong Guk's (Longguo) pet cat Lucy. 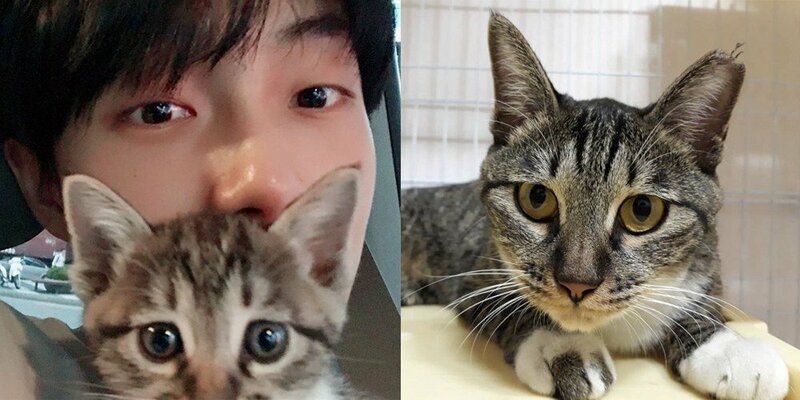 Along with his dating rumors involving SONAMOO's Nahyun, Kim Yong Guk has also been at the center of some controversy because of his pet cat Lucy. Netizens found Lucy had been picked up by an animal shelter and marked with TNR (Trap-Neuter-Return) treatment as indicated by its snipped left ear, and many netizens are expressing concern about Kim Yong Guk's responsibility as a pet owner. The label explained Lucy had been unable to get along with Kim Yong Guk's other pet cats, which led to the current situation. "Hello. This is Choon Entertainment. As relating to agency artist Kim Yong Guk, we'd first like to apologize for causing everyone to worry with such news. We're letting everyone know what most people would like to know first. Currently, Kim Yong Guk's cat Lucy is being cared for at the headquarter's office. Kim Yong Guk is currently deeply reflecting for causing a stir. We have reviewed what the fans are worried about it, and we have confirmed the facts with Kim Yong Guk himself. We're very sorry for the delayed statement. Before this situation occurred, Kim Yong Guk had been receiving a lot of love, and we apologize that the agency had not taken care of things more pro-actively. We bow our heads in front of the fans who've been hurt as well as those who protect animals. Kim Yong Guk adopted Kagu in June, and Tolby as well as Lucy came to the dorm together. However, Lucy and Kagu weren't able to get adjusted to living together, and she began receiving scars from other pets. After a lot of thought, Kim Yong Guk decided to look into Lucy getting adopted elsewhere. We apologize for not letting you know about this. After Lucy was adopted, Kim Yong Guk attempted to talk to the new owner, but he was very nervous when he couldn't get into contact with them. We knew Lucy had escaped from the new owner on September 25. He let the agency know right away, and after hearing about it, the headquarters brought Lucy over to take care of her. We apologize for causing so much worry due to the headquarters' issue. It's true that Kim Yong Guk deeply loves animals and thinks about them. However, he's currently reflecting on himself for not thinking maturely. Once again, we sincerely apologize to those who were hurt." i had 2 cats before and they hate each others ,one of them run away from home :( i searched him a lot but didnt find him.. I don't know if this is true... but it doesn't seem false, and I think it would be unfair not to give him the benefit of the doubt.